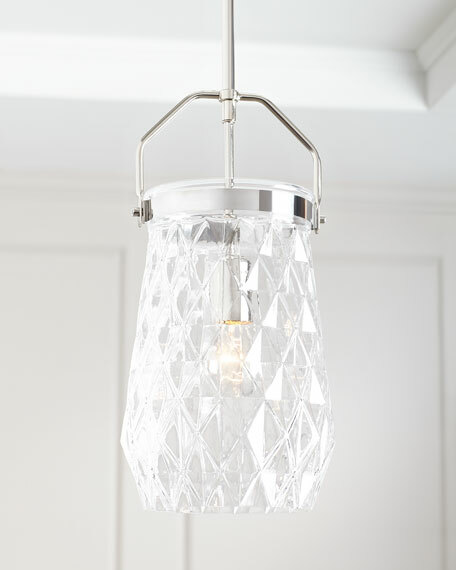 This one-light pendant offers up a stunning shine thanks to the textured shade of clear cut glass. 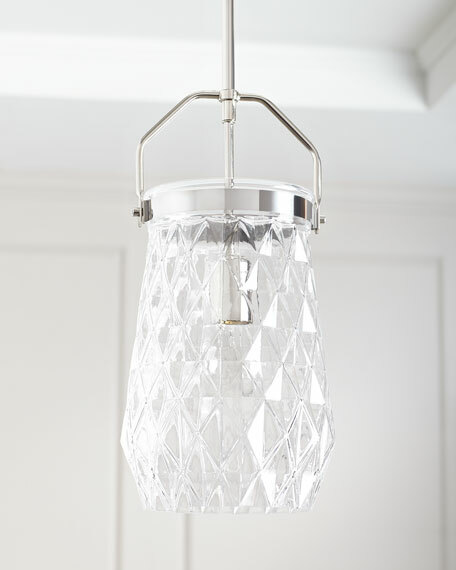 One-light pendant in metal and glass. Rod hung; three 9.5" rods included.